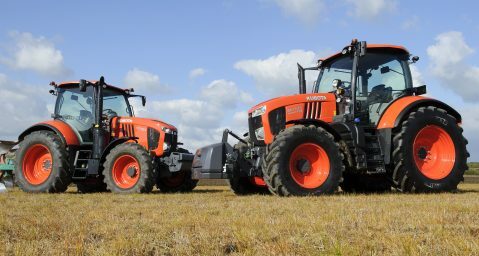 Kubota’s STW40 compact tractor and an RTV-X900 utility vehicle – the newest model in Kubota’s four-strong range – arrived on site in early January. The two will be based at Principality Stadium, and used day-to-day by the facility’s team of three, headed up by Head Groundsman Lee Evans. 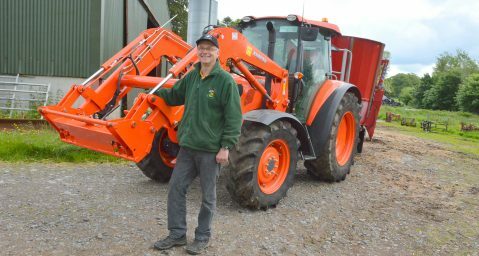 “I’ve been using Kubota tractors for as long as I’ve been a groundsman, for the last 30 years – it’s a trusted name in the industry,” said Lee Evans. “On the stadium pitch we primarily use our STW40 for vertidraining, pulling the lighting rigs and for general site maintenance. It’s also key to have machines that are light and that leave minimal footprint on the turf; qualities you associate with Kubota. 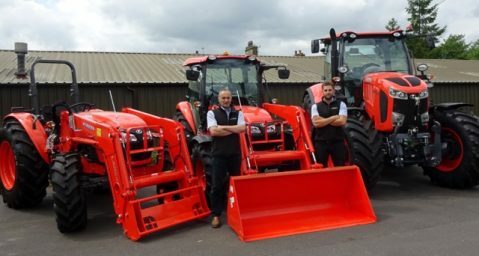 Kubota’s much anticipated M7001 Series tractors have been arriving at dealerships and on farms across the UK. Originally from Germany but farming in Ireland for the past 27 years, the farm extends to 500 acres in the Barbavilla Estate.